Cyprus is to ease its citizenship rules for foreign investors who lost at least 3 million euros under the European Union bailout deal. Cypriot President Nicos Anastasiades said new measures, mostly affecting the Russian business community, would be approved at a cabinet meeting on Monday. Russians have billions of euros in Cyprus’ bank deposits. Investors were angered when it emerged they would lose up to 60% of their savings under the terms of the bailout. In order to secure the 10 billion euros bailout, agreed by the EU and IMF, Cyprus was forced to wind up one major bank and write-off of a large portion of secured debt and uninsured deposits in the largest bank, Bank of Cyprus. Speaking at a Russian business conference in the coastal resort of Limassol, Nicos Anastasiades said the new measures would “mitigate to some extent the damage” Russian investors had endured. Cyprus has been a member of the EU since 2004. The country sealed the EU bailout last month to save it from bankruptcy. Nicos Anastasiades said foreign investors who held deposits prior to March 15, and who lost at least 3 million euros would be eligible to apply for Cypriot citizenship. Cyprus’s existing “citizenship by investment” programme will also be revised to reduce the amount of investment required to be eligible from 10 million euros to 3 million. Nicos Anastasiades said he would also drop requirements for citizenship applicants to keep 15 million euros in Cypriot banks for five years, saying they would be allowed immediate access to their money. “These decisions will be deployed in a fast-track manner,” he said. 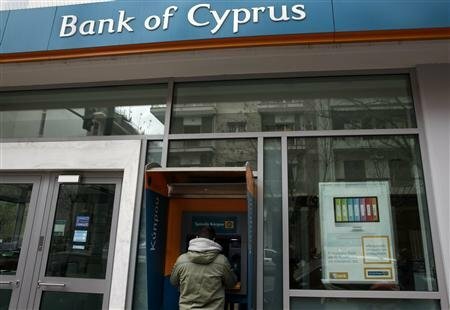 The Cypriot economy is worth about 18 billion euros, which accounts for less than 0.2% of the eurozone total.